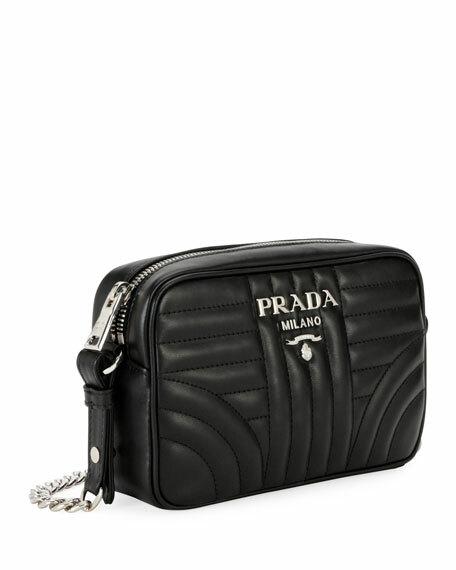 Prada crossbody camera bag in quilted calf leather. 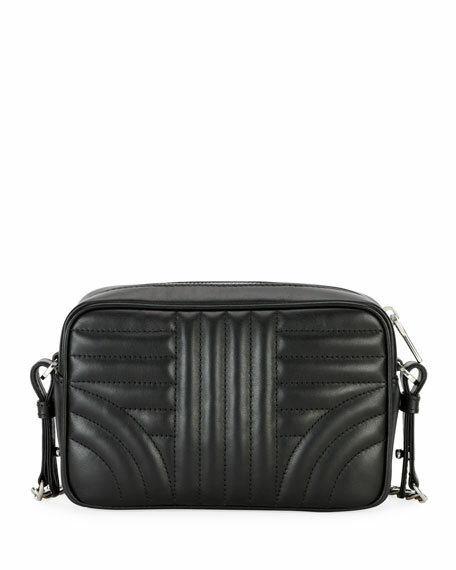 Removable chain and flat shoulder strap. Metal logo at center front. 4.5"H x 7.1"W x 2.4"D.
For in-store inquiries, use sku #2580816.